Coronation Street stars turned out in force for the annual Ronald McDonald House Charities Manchester Gala Dinner earlier this month. They gave a special cabaret performance which brought the full house of 450 guests to their feet. Everyone enjoyed a splendid evening of fine food, wine and entertainment. 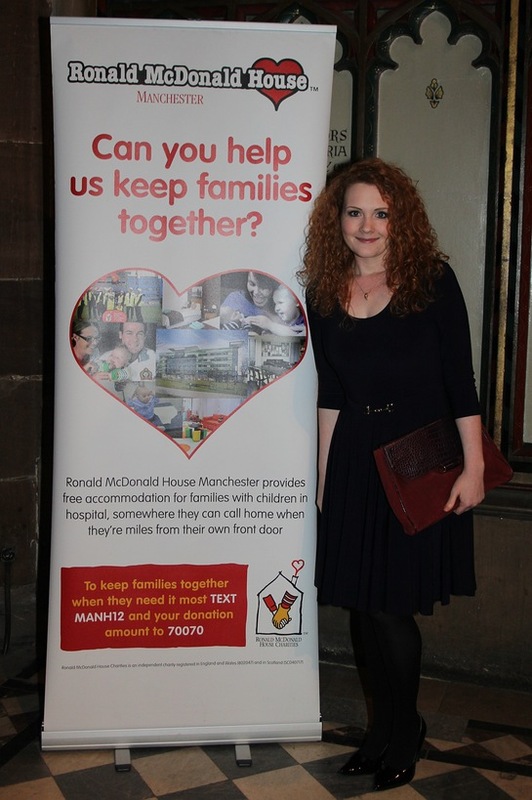 Held at the stunning venue of Manchester Cathedral, the event raised a record £48,000 for the new Ronald McDonald House Manchester. Opened in May this year, the House cost £7.5 million to build and needs to find an additional £500,000 a year in running costs. Corrie Street stars who attended included Jennie McAlpine (Fiz Stape), Debbie Rush (Anna Windass), Jack P. Shepherd (David Platt), Antony Cotton (Sean Tully), Ian Puleston-Davies (Owen Armstrong), and Mikey North (Gary Windass).